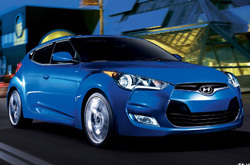 To begin reading Van Hyundai's 2013 Veloster review, scroll down below the video. Stop worring about your next Hyundai purchase; look to the top-rated Veloster franchise in Dallas for well researched reviews authored by automotive enthusiasts. This article will tell you exactly what you're looking for. As your Dallas Hyundai franchise, you can have faith in on us for actionable information on the 2013 Hyundai Veloster. As always, Van Hyundai is available seven days a week to answer any questions you might have. Don't hesitate to call and speak with a representative. By examining the 2013 Hyundai Veloster alongside the 2013 Scion tC, Mini Cooper S, Mitsubishi Lancer Sportback, Volkswagen GTI and the Volkswagen Scirocco, and you can see that the Veloster scores higher those autos in various zones. View the hightlights below. Can the competition beat the Hyundai? Van Hyundai's car repair specialists have served Dallas for years with amazing workmanship and authentic Hyundai parts. Turn to the auto repair gurus in Dallas, Van Hyundai, when your Hyundais takes a pounding. The following is barely a tiny percent of what we handle: in-cabin air filter replacement, electronics repairs, windshield wiper replacement and much more. We also manage a wide array of other services. 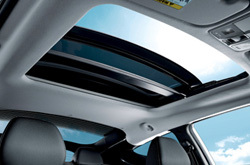 Van Hyundai's got your back for all Hyundai Veloster maintenances in Dallas, including simple factory recommended services. To look through wallet-friendly service coupons, click the link under this text right this instant!